camellia house | Phil – Refuelled! Early last week, I spent an afternoon with my uncle and aunt. for part of the time, I took my uncle for a walk, which he always enjoys. 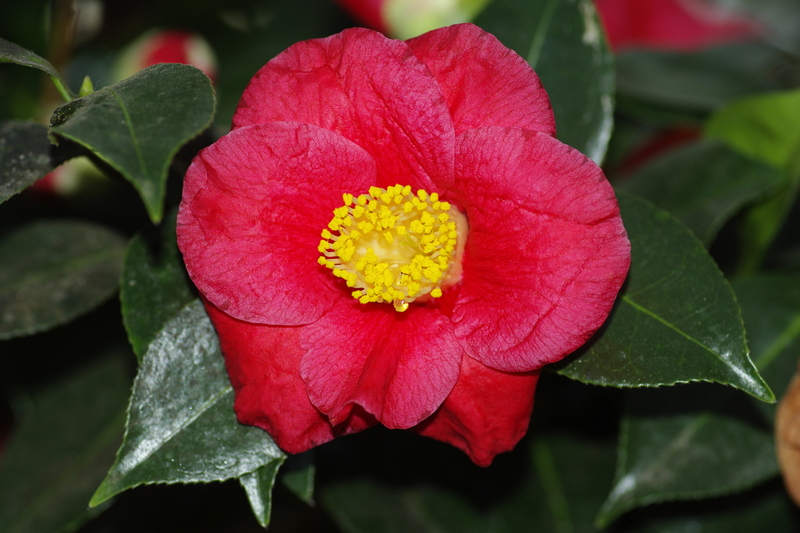 And in my beloved Wollaton Park, we found the camellia house was OPEN! This picture is of one of these lovely flowers that we found. There were plenty of white and pink ones, too. A large proportion of glass in architecture, whether old style or modern, is often fascinating. Here, we are back again to my beloved Wollaton Park, Nottingham. This is the view looking up at the roof of the Camellia House, set in the grounds. 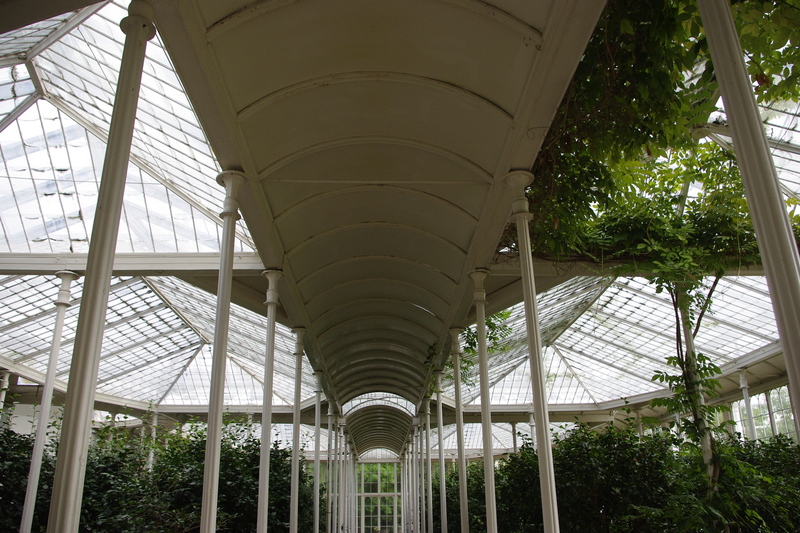 One of the earliest cast iron glasshouses of its kind, it was built in 1827. It has recently been extensively restored, and is still used for its original purpose. Buildinds such as this one provide a wonderful display of shape and line – a photographer’s paradise!